From 27/04 to 21/06/2019, daily. From 22/06 to 05/07/2019, daily. From 31/08 to 13/09/2019, daily. From 14/09 to 28/09/2019, daily. Detached chalet for 9 people, renovated in 2018. Three-star rating with a magnificent panoramic view of Mont Blanc, the valley and the surrounding mountains. 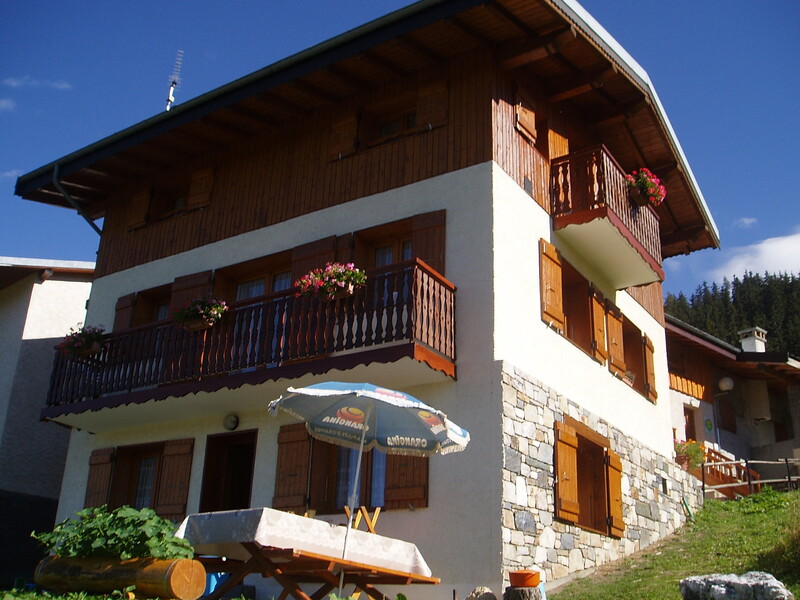 Chalet (102m²) for 9 people, located in the hamlet of Orgère, in a natural setting of unspoilt meadows and forest, 1 kilometre above the resort of Les Coches. Hallway, 1 bedroom with 1 double (140x190) and one single bed (90x190) + TV. Large terrace with barbecue and sun loungers.